Take a peek at our brand-new video.NOW OPEN. SCHEDULE YOUR TOUR TODAY. Your grandfather’s old pocket watch and that purple tomato at the farmers’ market have more in common than you might think. They’re heirlooms—those special, rare breeds worth seeking out, hanging onto, and sharing with others. We designed Heirloom Flats to be just that. A timelessly designed apartment community filled to the brim with an ever-expanding collection of art, furniture, keepsakes, recipes, friends, and stories. Step inside and you’ll immediately realize—we skimped on nothing. A timber-framed portico greets residents as they enter. Slats of reclaimed shiplap line the walls of the amenity space. Overhead, planks sourced on-site and milled in Connecticut stretch across the ceiling. Bright, midcentury modern furniture and a collection of cookbooks and antique copper pots create a sense of simple charm and lived-in comfort. Outside, the courtyard “Grill-zebo” boasts a grilling setup fit for competition barbecue. 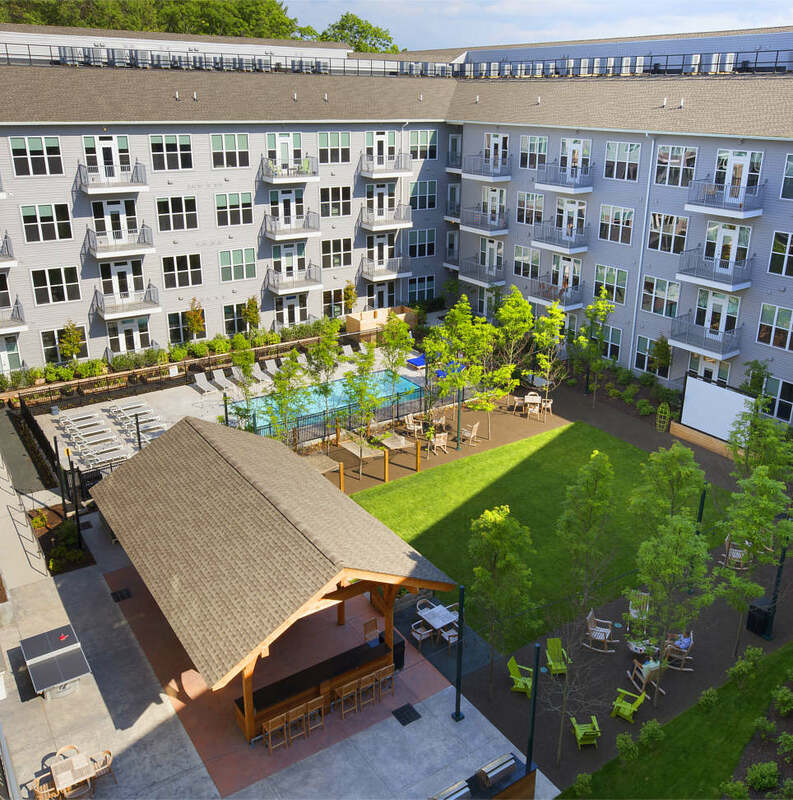 With global restaurants, everyday conveniences, and an abundance of green space, Bloomfield is just as wonderful as it sounds—only better. Our neighbors pretty much sum it up: a stately town hall, public library, and village green, surrounded by a medley of Thai, Japanese, Jamaican, Italian, Chinese, and American restaurants. 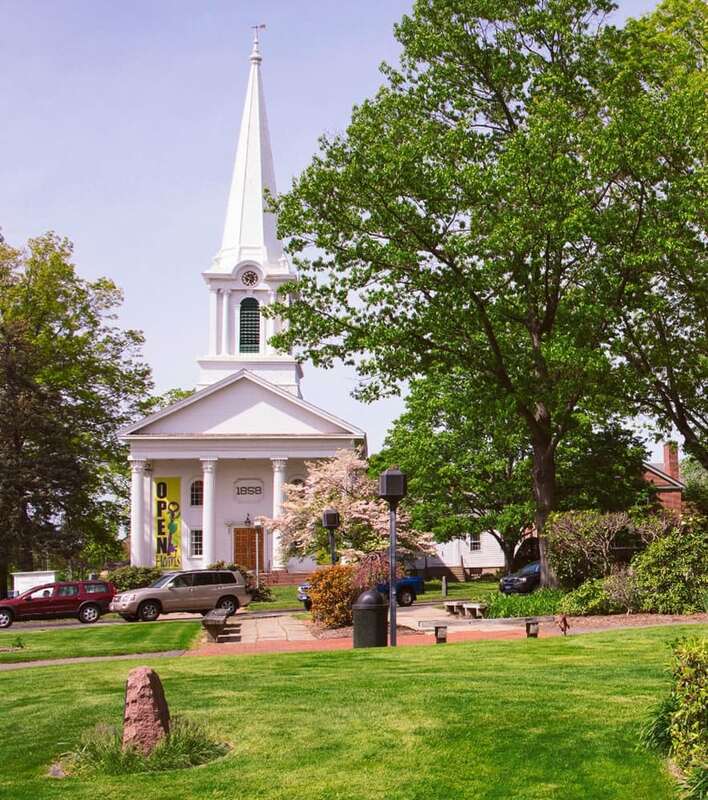 It’s the Bloomfield vibe—classic small town with a global twist. There’s a movie theater, pharmacies, banks, gourmet grocers, and wine stores. And at Heirloom Flats, it’s all just a short walk from your doorstep. We absolutely love it, and we think you will too.